Miami Children’s Health System became the first hospital in Florida to receive the 2017 HIMSS Davies Award. 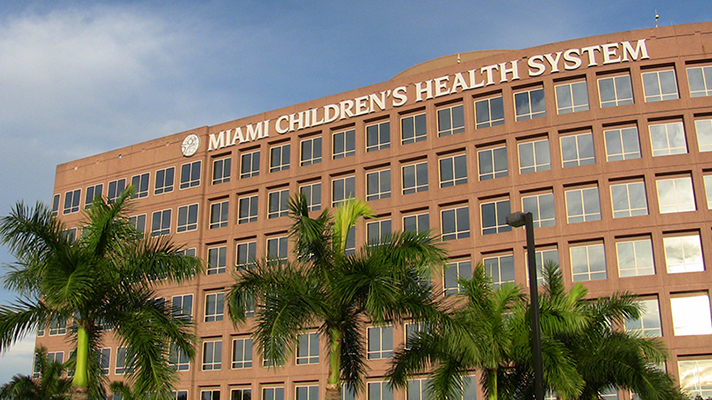 Nicklaus Children’s, which is the flagship hospital of the Miami Children’s system, embarked on an enterprise-wide EHR rollout in 2012 to both improve patient safety and give clinicians more access to information. In that process, the hospital implemented barcoding technology that helped reduce blood transfusion error rates to zero. Nicklaus Children’s also cut catheter-associated urinary tract infections by 57 percent via best practices. And it slashed asthma readmission rates 26 percent by adhering more to home care plans. Miami Children’s CIO Ed Martinez said the award is a testament to the health system’s recognition that IT plays a critical role in improving care delivery. Miami Children’s Health System will be recognized at the HIMSS18 Awards Gala taking place on Thursday, March 8, 2018 in Las Vegas.